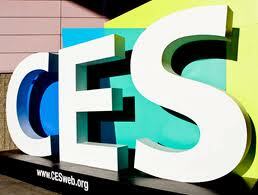 At CES it’s raining new products, but what about keeping all the old gadgets from getting tossed into the gutter? Today begins the annual festival of colossal consumerism known as the Consumer Electronics Show (CES), which takes over Las Vegas every January. This huge international trade show features miles of aisles of companies with high tech booths, touting their new gadgets, each one faster, sleeker, smaller, cooler, androidier, and touch-screenier than that really ancient one you bought a whole year ago. Approximately 20,000 new products will be launched at this event. The program has over 300 information sessions. Yet the “Technology and the Environment” category has only two sessions. CES turned down the Story of Stuff creator Annie Leonard’s request to speak, despite a timely message with the newly released Story of Electronics film. Of the 35 categories for CEA’s “Innovations Design and Engineering” awards, only one was for “Eco-Design and Sustainable Technology,” given to a company making a solar cell phone charger. While the companies compete for media attention for all the new gadgets they are flooding into the marketplace, they make no mention about what we should do with all the old gadgets they want us to replace. What’s wrong with Lenovo’s Recycling Program? One company piling on to the new product band(width) wagon this week is computer maker Lenovo, the Chinese company that bought the IBM Thinkpad division several years ago, and is now the number four computer maker in the world. Lenovo has just unveiled new Thinkpads, Ideapads and a new tablet computer called LePad at CES. But Lenovo earned a D Minus on the Electronics TakeBack Coalition’s Company Recycling Report Card, for having a weak takeback program, providing little transparency, and not using recycling vendors certified to (or in the process of getting certified to) high-bar recycling standards that forbid exporting toxic e-waste collected under their program to developing countries. While Lenovo has begun to talk-the-talk on responsible recycling, we’d like to see them (and any other electronics company) show us proof that they are actually walking-the-walk. >>Disclosing its recycling vendors. Many companies do this. Why not Lenovo? Transparency is vital on this issue. >>Endorsing federal legislation to close the door on global e-waste dumping. HR 6252 will be reintroduced in the new Congress, and if Lenovo is serious about its policy of not exporting e-waste to developing countries, it should have no trouble endorsing the new bill. If you agree that Lenovo should be doing more, you can use our online action center to send an email to their CEO here. It takes just a minute. I am making a point to not purchase any Lenovo products until you have proven responsible by developing AND implementing a sustainable plan for your old products including longer life cycles for them. Lenovo, this is your chance to be a world leader–both in terms of the planet and in terms of your industry. You can do this by using recyclers certified to the rigorous e-Stewards standard, and by endorsing federal legislation to close the door on global e-waste dumping. Consumers are more conscious than ever…and we are watching, with hope, to see what you do! It is a very interesting time. Many people are becoming more concerned with environmental issues and want to make the more sustainable choice. Are you, Lenovo, going to lead the way to a sustainable electronics industry, or continue on the same destructive path for our planet?? ?